SkiYouth – Snow Skiing and Water Ski for Youth. Skiing Product Deals, Reviews, Travel Deals and for the young skier – Page 117 – Snow Skiing and Waterski for Kids. Ski Product Deals, Reviews, Travel Deals and more. Whether you're hitting the slopes in Aspen, sledding with your kids or robbing a bank, you won't want to brave the elements, as well as those prying eyes, without one of these 100% acrylic balaclava masks. These masks feature 2 eye-holes and NO MOUTH HOLE. One size fits most! Grab yours today as supplies are extremely limited, the weather is getting colder and your neighbors are getting nosier! 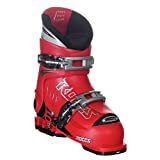 AIRHEAD ST-150 Trainer Water Skis – These 48 inch wood trainers make learning to ski fun for beginners under 100 lbs.. The double handle rope assembly, removable crossbar and ties at the tail make it easy to start and control. Designed for skiers under 100 lbs. The adjustable bindings fit child size 12 to adult size 5. Fiberglass reinforced nylon rudders increase stability and tracking. 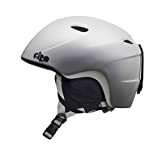 This easy-wearing helmet features our finest performance technologies in a light yet durable design. Finding the perfect fit is simple-we’ve updated the Slingshot with two different In Form youth size options. This, combined with a soft, cozy interior keeps kids comfortable all day long. The Ski Trainer harness & leash system is the ideal product when it’s time to get the kids on the slopes. 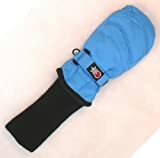 It combines the safety and usefulness of the integrated handle with two detachable learn-to-turn ski leashes and a pack to safely stow leashes or other small items. After the kids can safely control their skis, stow the detachable straps at home and continue to take advantage of the small stow pack and the integrated handle for safety on and off the chair lift.